Evidence based techniques to optimise your workforce. SACS Consulting helps organisations identify where they want to go, and then delivers evidence-based solutions to help them get there. Our joint research with Deakin University, and our own IP mean that practical tools have been developed for a wide range of clients. SACS Consulting ensures that you have the right people on board, and that you can lead them effectively. 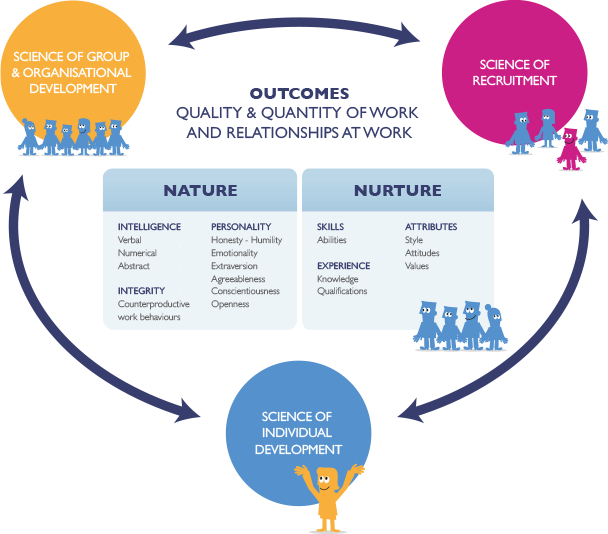 Let us explain how best practice organisational psychology consulting improves workplace effectiveness and productivity by analysing an organisation’s human resources and management psychology.